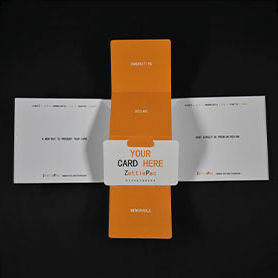 A unique, innovative and memorable way to present your cards. 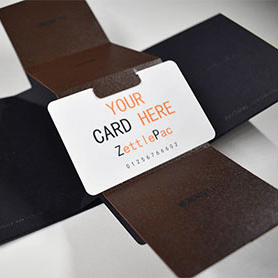 Introducing The ZettlePac: the unique, innovative and new way to present your cards. 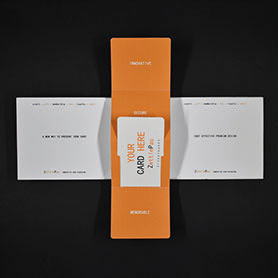 Whatever form your card takes, be it a credit, gift, membership, key, loyalty or smart card, you want it to arrive with your customers with an impactful pop! Our ZettlePac does just that, in an entirely different and memorable fashion. They are available in various sizes, and we can even make them to a specific size, just let us know what you want. Want to get your hands on a free sample? Then simply fill in the form, and we’ll gladly send you one.